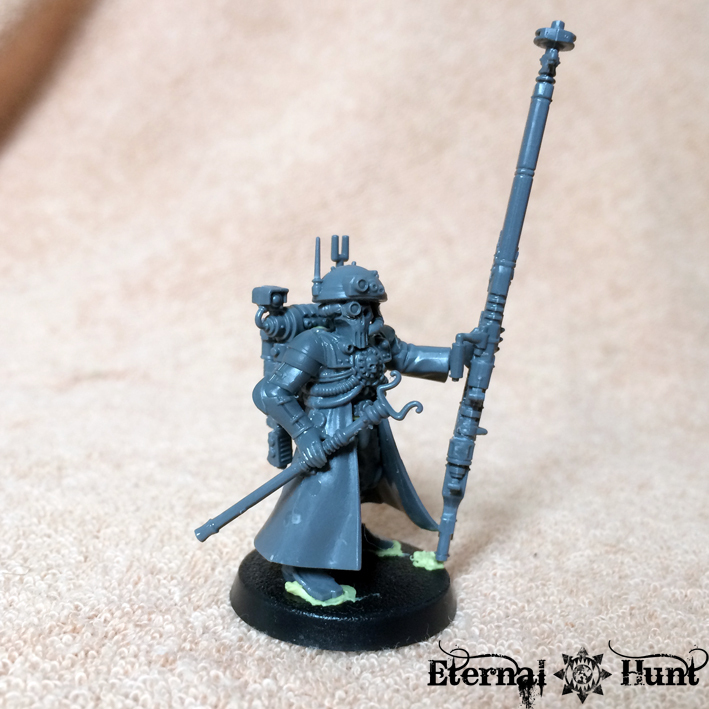 Hey everyone, I only have some new kitbashes for todays’s update, seeing how I am currently swamped with work — and both my plans for the Age of Sigmar starter box minis as well as the paintjob for my “Stormcast Inquisitor” will still take some time to gestate into something tangible. 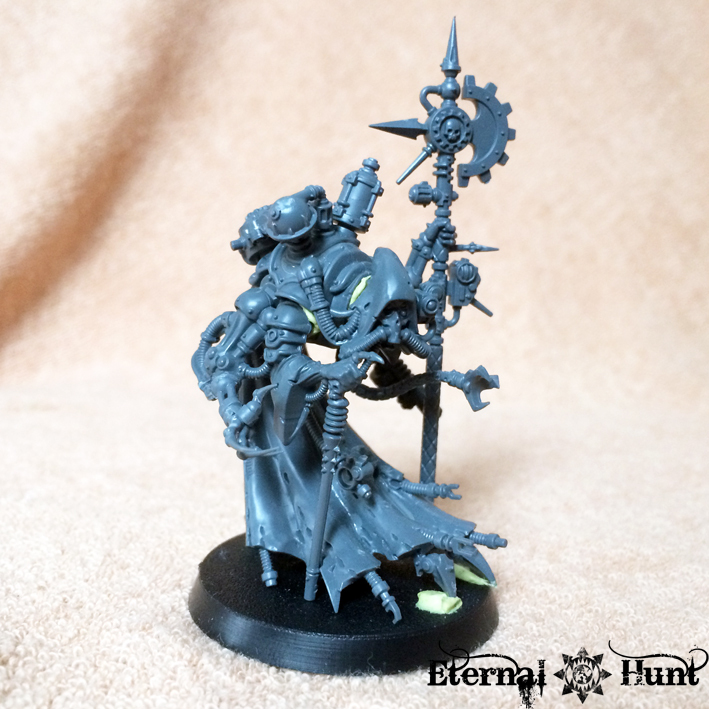 In the meantime, I have returned to my various AdMech plastic kits for a spell of converting, and I realised once again that the Mechanicus models may just be some of the most visually arresting 40k kits currently available! 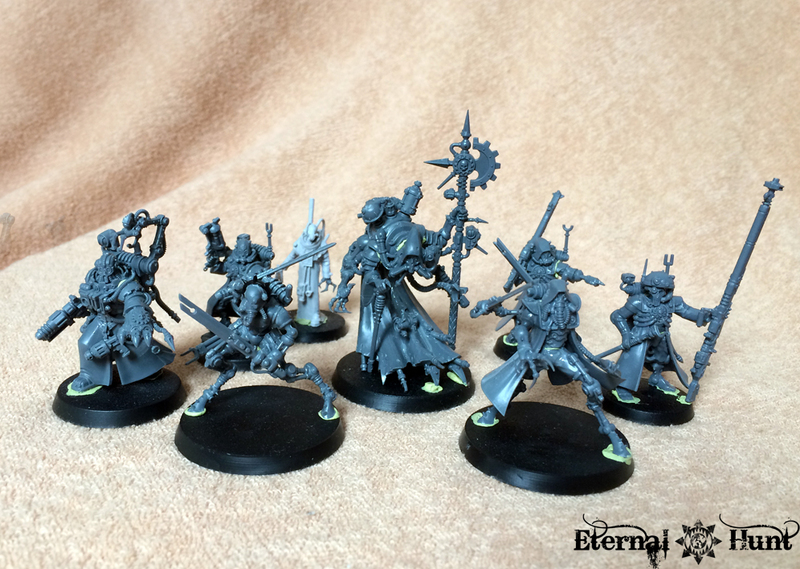 So I put in some more work on my growing INQ28 Mechanicus warband, which will basically fulfill two goals: One, I want to explore the Adeptus Mechanicus in its different shapes and sizes with this warband, creating a rather eclectic and eccentric collection of models — just as eclectic and eccentric as the Adeptus Mechanicus itself, that is. Two, since I don’t want to assemble an entire army of these guys, this warband will serve as a “best of collection”, so to speak, allowing me to have fun with the AdMech kits I like most. I only added a small halo taken from a servo-skull to this first guy, which I think rather fits the model. This guy is one of the feared Clockwork Assassins, used as a terror weapon by the Machine Lords of Korhold against their enemies. 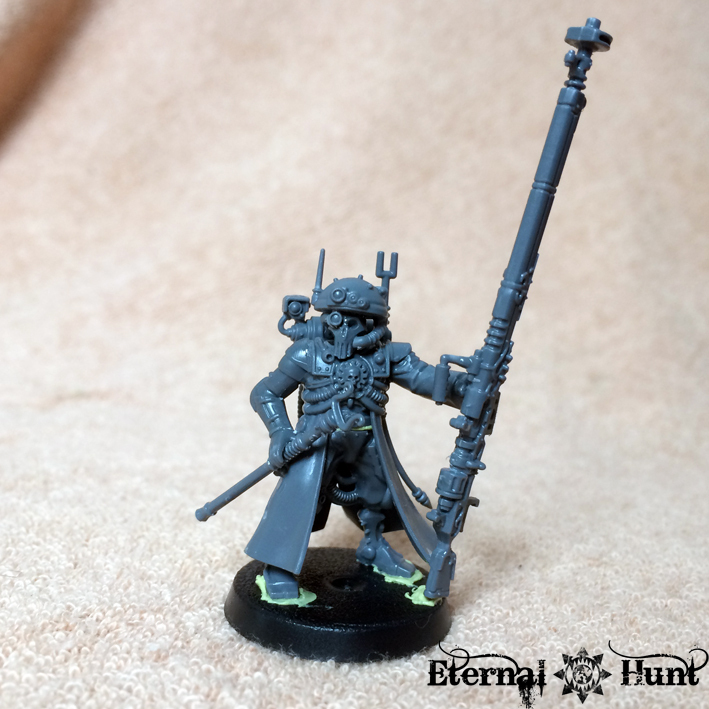 I already mentioned in my review of the Skitarii release how this model didn’t look so much like a unit champ to me, but rather like a more warlike Tech-Priest: All the telltale signs are there — the flowing robes, the cowl, the face full of tubes 😉 So I am seeing this guy as some kind of “Magos Militant”, overseeing the performance of the Skitarii on the front line or counseling the sector command when it comes to military questions. I actually considered swapping in some of the more esoteric pieces of equipment from the Sicarian Infiltrators, such as the servo-skull and “grimdark notebook”, but truth be told, I would rather use those bitz on a different model altogether, and the Princeps just has a visual balance that I love — hence a mostly unconverted model, for a change. As far as the Tech-Magos is concerned you need look no further than Magos Hirimau Dahan from Priests of Mars who is described as having a “muscular body of plastic hued flesh…regular pair of arms…with augmenting energy blades…..a second pair of arms…tipped with a forked weapon….purple lightning arced between the bladed tines”. 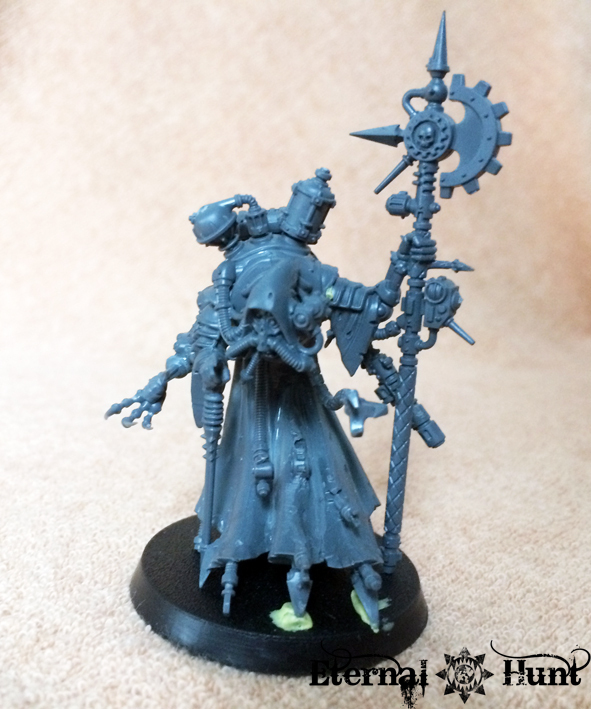 This would suggest that a combat oriented Secutor Magos looks nothing like the archetypal GW Magos! So yeah, these guys may be hardly converted at all, but I am still pretty happy with them. And that’s what counts, right? So that’s it for today! I would love to hear any feedback you might have in the comments section! And, as always, thanks for looking and stay tuned for more! This entry was posted on July 22, 2015 at 19:06 and is filed under 40k, Conversions, Inq28, Inquisitor, Pointless ramblings, WIP with tags 40k, adeptus mechanicus, AdMech, assassin, conversion, cult mechanicus, explorator, INQ28, inquisitor, kitbash, magos, skitarii, warband, WIP. You can follow any responses to this entry through the RSS 2.0 feed. You can leave a response, or trackback from your own site. Thanks a lot, Eli! And yes, I am quite guilty of ignoring the Ammobunker’s abysmal PM system whenever I can 😉 As for your question: I haven’t assembled the models yet, but the Bloodsecrator is definitely as tall as the Bloodwarriors! 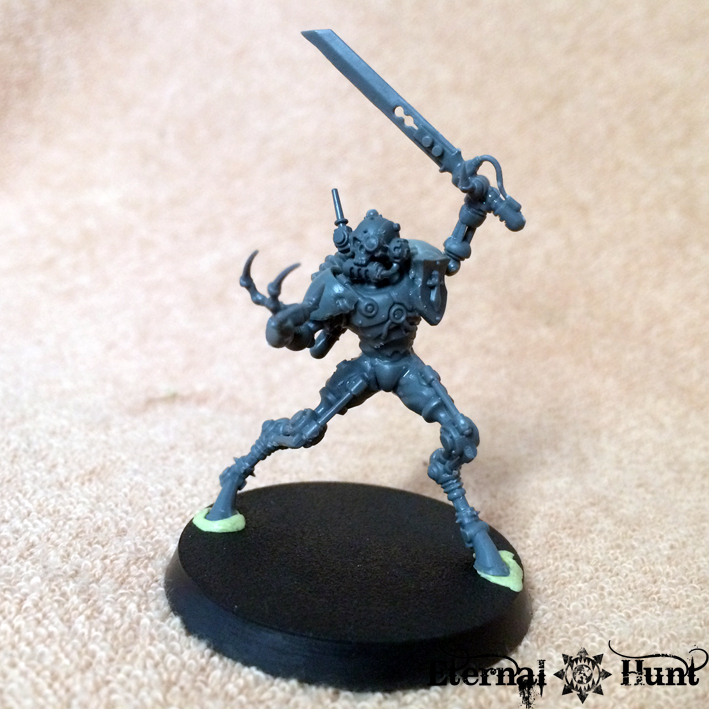 The finished model may even seem slightly beefier than them, due to the more exalted pose. He is less armoured, though — keep that in mind. Awesome thanks a lot man! 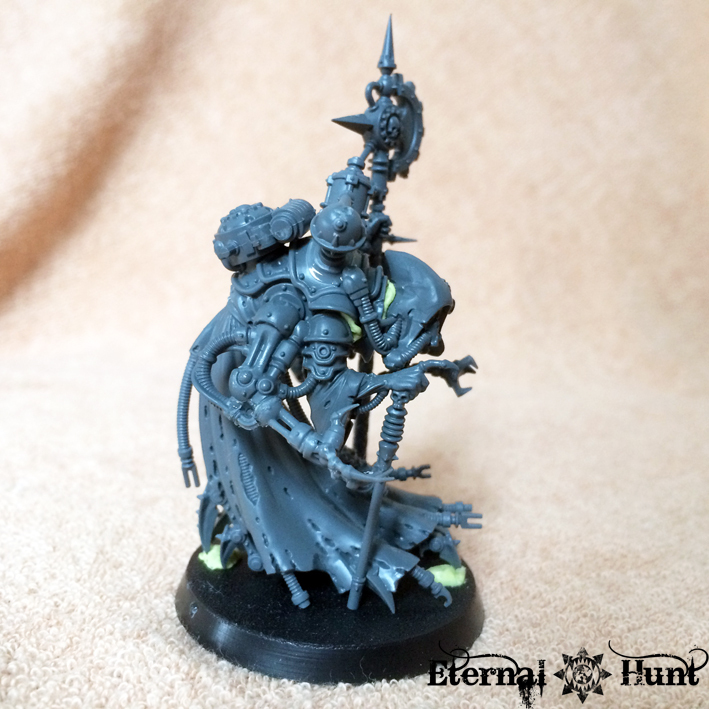 I need to make a Khornate truescale marine and I dont really need to buy the whole age of sigmar boxset and the Bloodsecrator is the only one I can find sold individually on ebay.. Speaking of Khorne you wouldnt have had any ideas on how to make a Chain Hamer would you? I LOVE that last guy with the servo skull head! Defniitely thought the same thing about the Eversor-esque look. Beautiful. 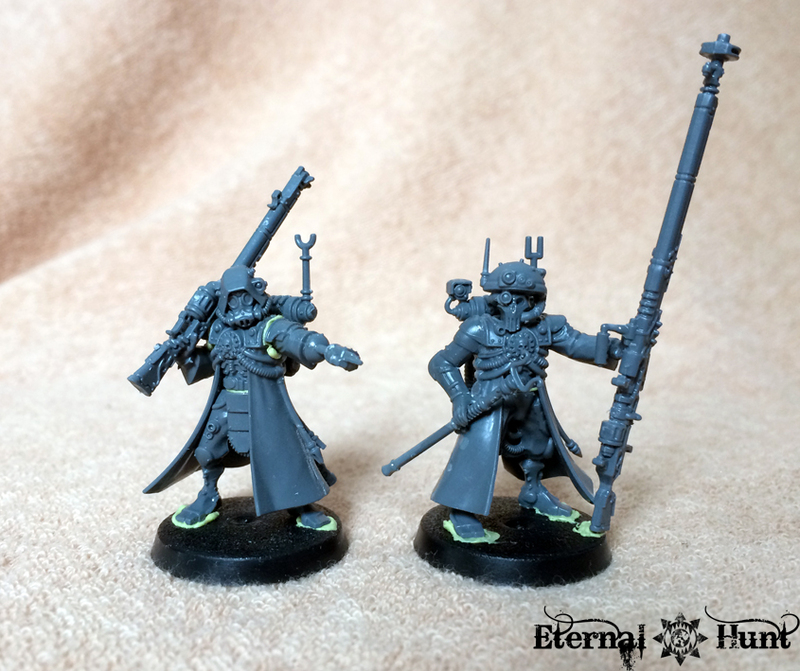 The conversions are cool if pretty minor, although the models are so impressive it’s kinda hard to find anything to convert really. Guess that’s one of the reasons I still haven’t picked up any Mechanicus minis yet. Cheers, man! You are right, of course: Normally, I cut apart each new release along with the best of them, but having stock models that are so cool is making my life more difficult in this case (or rather easier, depending on which way you’re looking at it 😉 ). 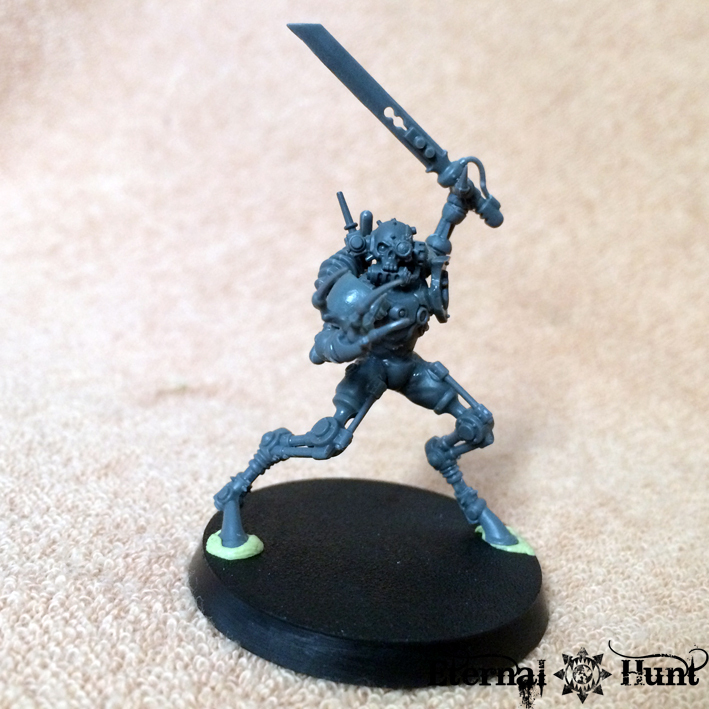 Very nice looking warband dude – Nice tweaks here and there, but the cyborg Eversor is the stand-out mini for me… I may be shamelessly pinching that idea myself. Beautiful work as always! I know it wasn’t your original idea, but I absolutely love that japanese soldier pose! I really like your small modifications on the models (the originals are so nice it is hard to want to do much to them). Replacing the Dominus’s deathray with the Ruststalker claw is brilliant! It fits so well you would not even know it was a conversion. 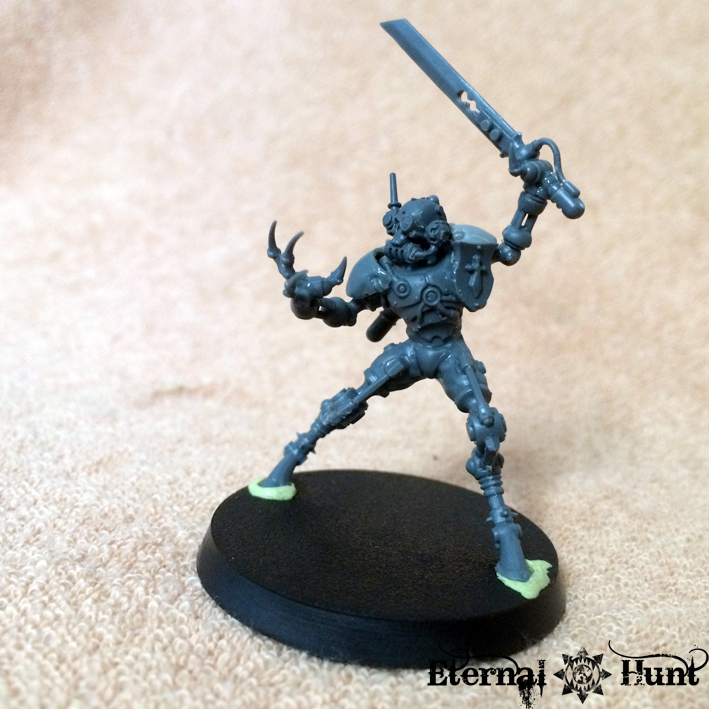 The Eversor is also one of my favorites, the wicked claw and skull visage are striking! Any thoughts of trying to craft a little machine-pistol for him? Maybe attached to his hip? Also maybe a backpack of some form with a little swiveling light? Thanks a lot, Adam! I am really happy with the chord claw on the Archmagos, if I do say so myself. 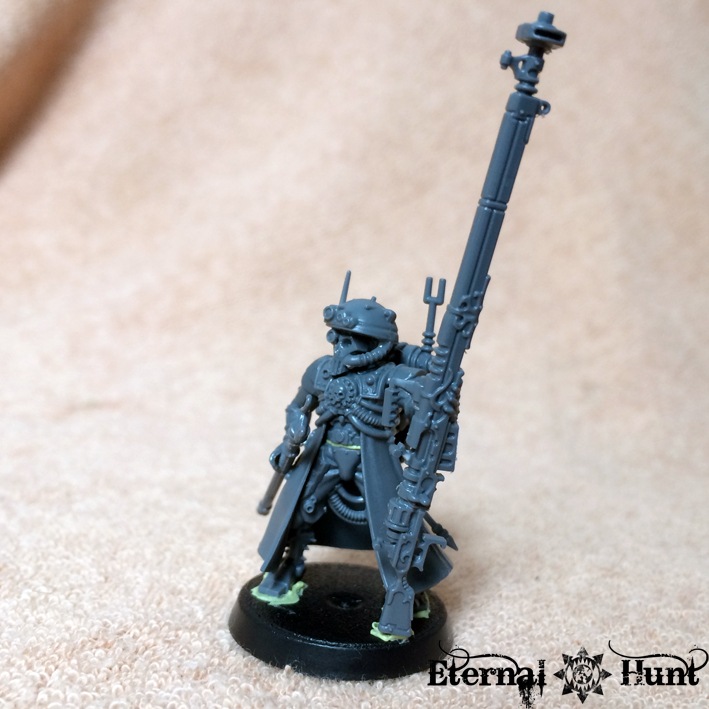 As for the “Not-Eversor”, a machine pistol (maybe made from one of the “AdMech uzis” that come with the Ruststalker kit) would be a pretty cool idea! 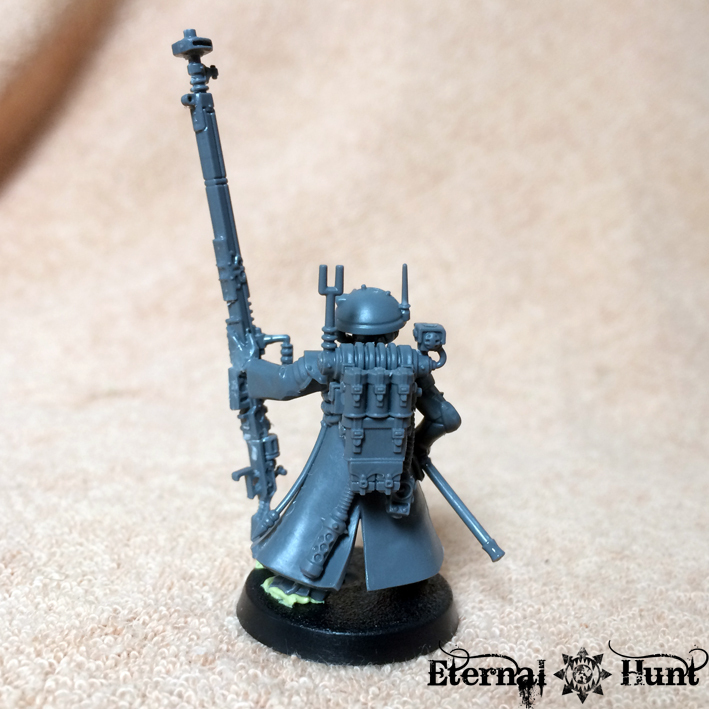 I think I’ll pass on trying to approximate the classic Eversor backpack, though, as I have always found that particular design a little goofy. Damn may I be lucky some time!! 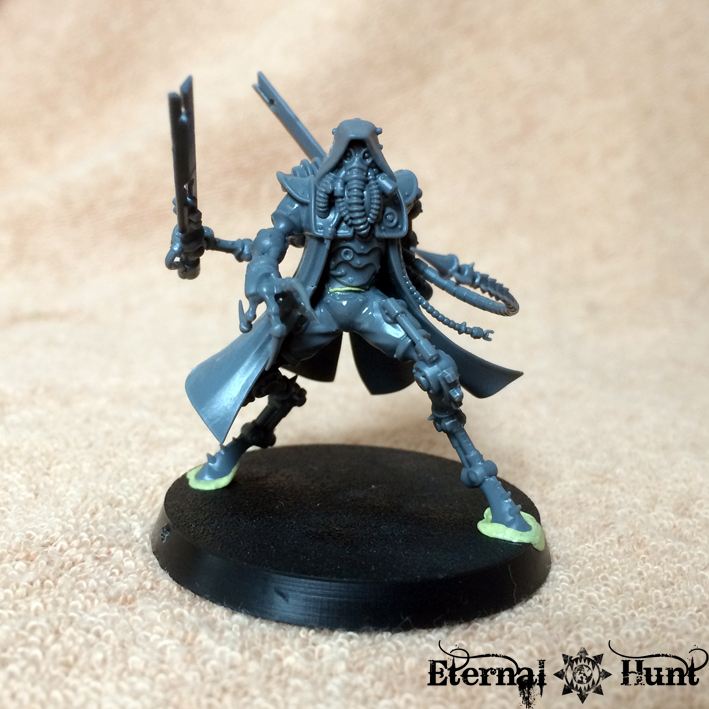 Your eversor assassin is fantastic and…. different of mine. 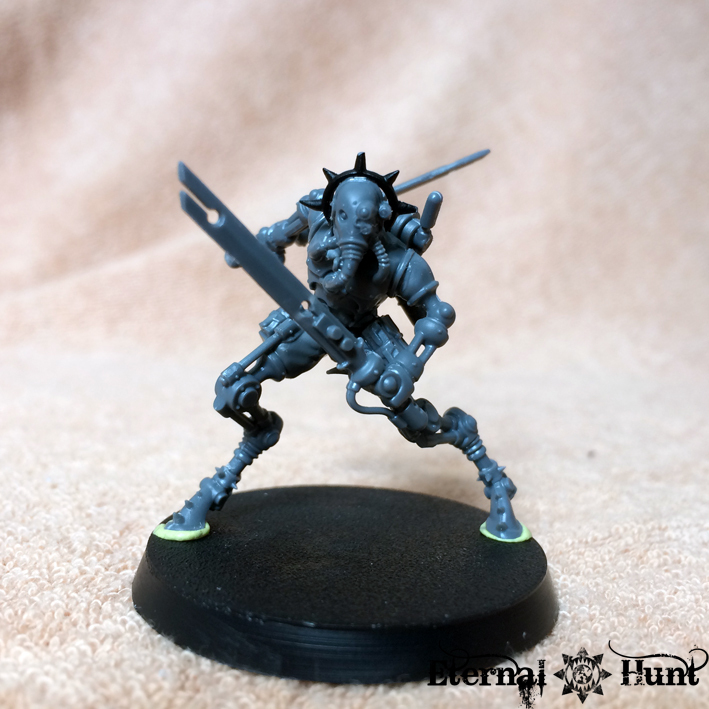 Just had the same idea when I bought the Dominus: using the servoskull as an assassin’s head…. Your take is taller and more mechanical and defenitly on the CC way…mine remain more “organic” if I may say so!! Anyway stop talking about me. 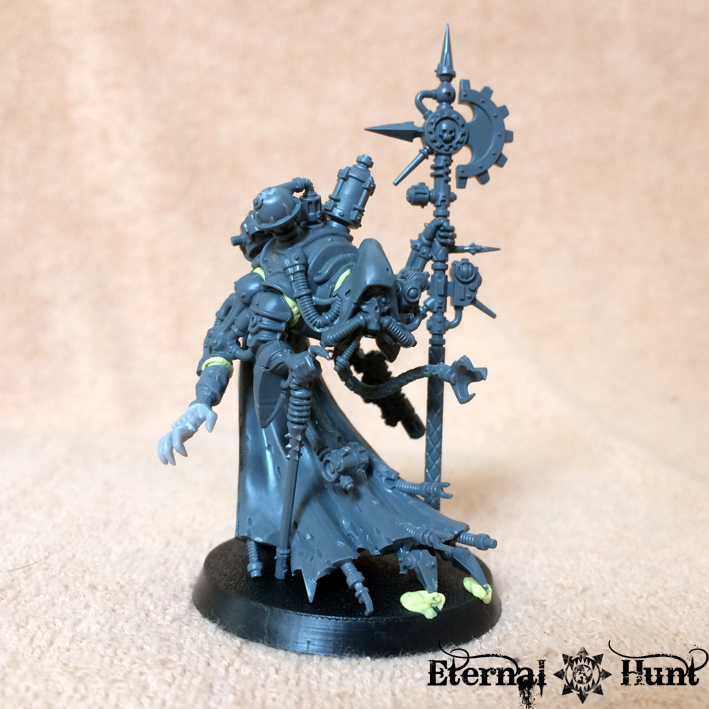 I’m truly fond of your admech so far as a whole warband. As I say here or at the ammo… individually some are quite “out of the box” but as a group I think that their working perfectly !! 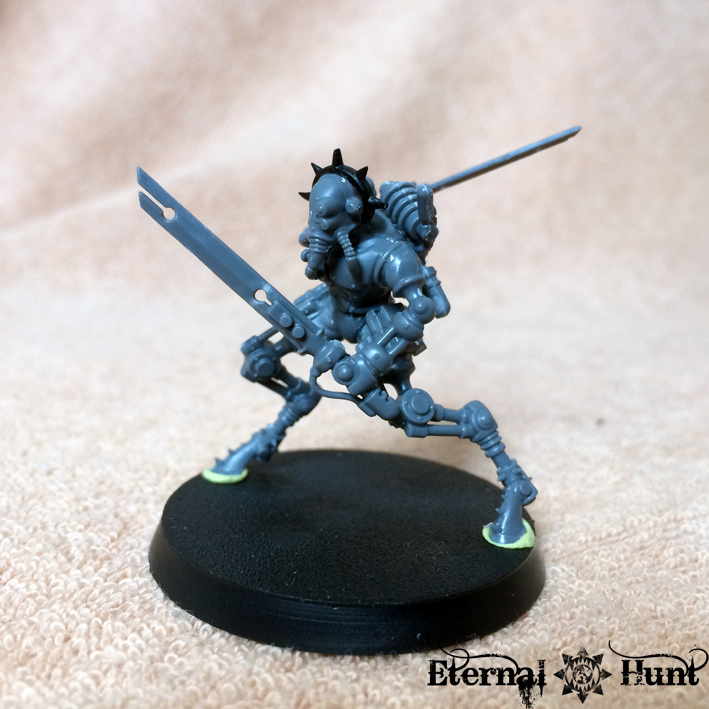 The “problem” with the Sicarian kit is that the base models are so well conceived that they only really need minor tweaks rather than major reconstruction! Thanks, man! And I couldn’t agree more regarding the Sicarians! Wow just love the ashigaru marksman – very distinctive. 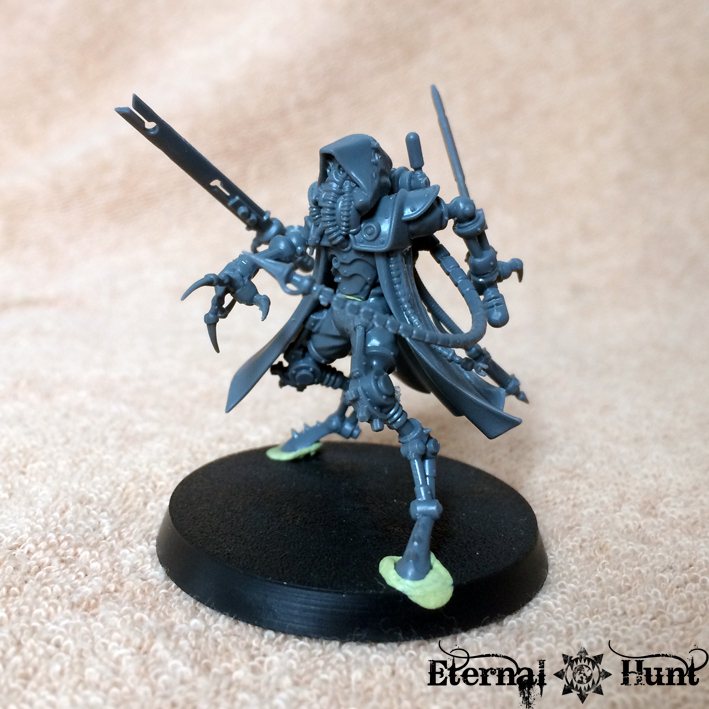 Like other commentators have noted, the new AdMech are so full of character that they really don’t need converting to look superb, but I really like what you’ve done with him!